The sudden demise of popular fashion designer Karl Lagerfeld left the world of glamour in mourning. It proved to be an even worse blow for Lagerfeld’s loved ones. Particularly, Choupette, Karl Lagerfeld’s cat, who was always spotted by his side, posing with him for the paparazzi, getting pampered like a high maintenance girlfriend and is now an heiress to Lagerfeld’s huge empire. She has two maids of her own! Even though Choupette is a ferocious little beast, she is often struck by separation anxiety when Lagerfeld is not with her. 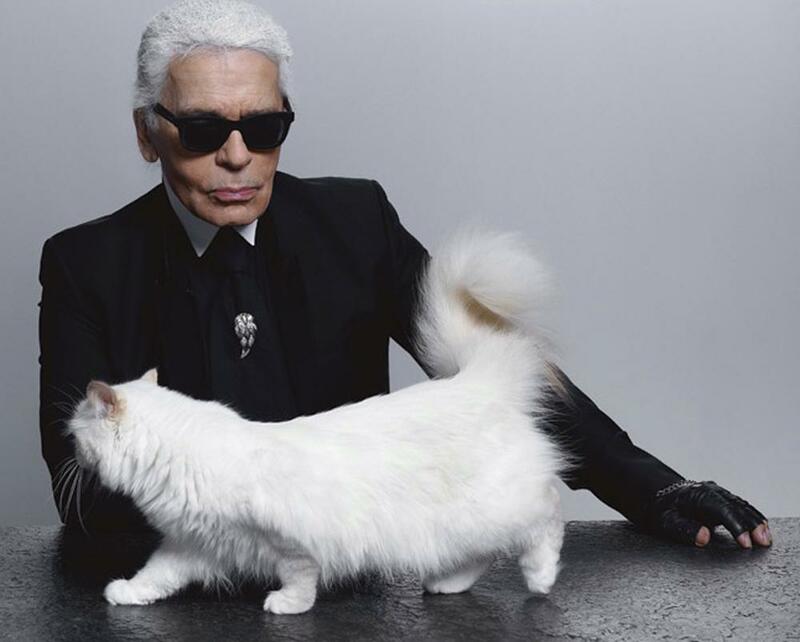 For taking care of her and fulfilling her basic needs like cleaning up after her, feeding her or just to keep her company, two maids have been appointed only for Karl Lagerfeld’s cat. “Karl Lagerfeld’s cat world-famous cat dispenses essential advice on lifestyle, diet, fashion, beauty, and international travel for the uber-fashionable feline. Choupette—the constant feline companion of designer Karl Lagerfeld’s cat, creative director at Chanel—is a celebrity pet like no other. She has it all, from her own iPad to private jet service. She eats from Goyard silver seated next to Karl at the table, has been immortalized in Tokidoki figurines with the Kaiser, and has inspired his couture collections. ”Wait, what? A cat has a book on her while no one even writes a poem for us? This is so not done! Even though she is pampered with the top-notch toys from all across the world, physically playing can be a tiresome task. In times of her relaxing and unwinding, she resorts to her personal iPad to keep herself going through the day. What does she even watch on it? Cats chasing rats or uber rich Karl Lagerfeld’s cat getting high-class treatment? Choupette doesn’t really need the inheritance of Lagerfeld; she has already made tonnes of money and is worth a huge amount of fortune. Karl Lagerfeld’s cat has done ads for Japanese beauty companies, German car brands, and her entrepreneurial ventures in a single year have made her around a whopping $3 million in revenue. Can’t we just quit our jobs and be cats? Karl’s pampered kitty always eats on the dining table, sitting beside the fashion mogul and is served with delectable gourmet dishes every day. Karl Lagerfeld’s cat is also treated with caviar and catnip on special occasions and celebratory events. Okay, we are not jealous. You are jealous. 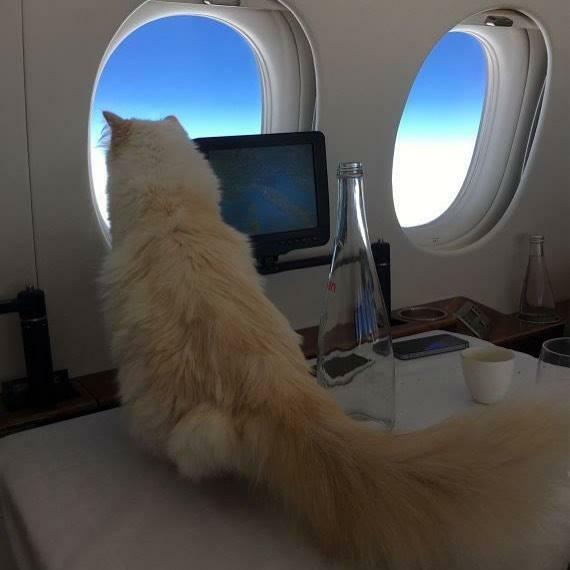 When traveling with daddy Lagerfeld, Choupette (Karl Lagerfeld’s cat) has a bunk assigned solely to her and she travels in her own dedicated suite comprising of an entertainment console and the prettiest view- just for a four-pawed furball who doesn’t even know what a jet is! Choupette (Karl Lagerfeld’s cat) gets intense brushing sessions, cleanups and manicures done every week. This adds to her beauty and keeps her well-groomed all day, every day. All this pampering also makes her abode scratch and hairball free. 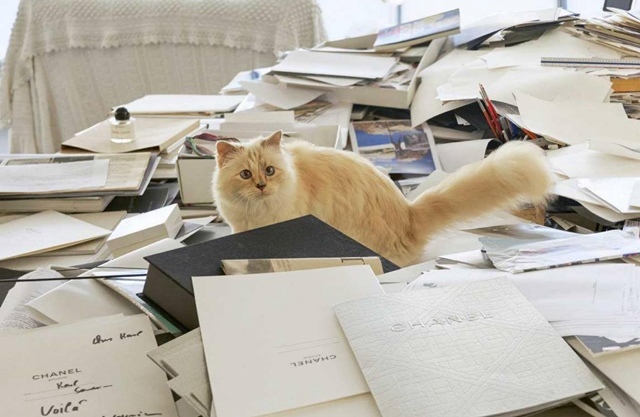 Choupette’s fabulous life is well-documented, photographed and posted on Instagram personally by Karl Lagerfeld’s cat daddy or the maids that she has. She also raises awareness about pet adoption and animal rights through her Instagram handle. She is not just a rich spoilt brat; she has a philanthropic heart as well. Awww! 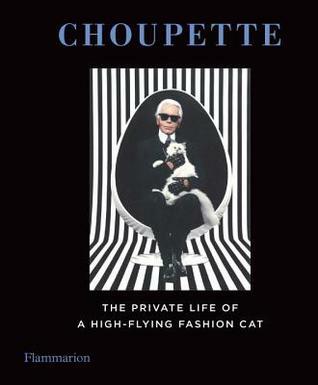 Whenever Lagerfeld used to be out of the house, the maids wrote down, in tiny books, all that Choupette (Karl Lagerfeld’s cat) did- starting from how she behaved, what she ate to if she slept or was tired. They have penned down around 600 pages in nine months. 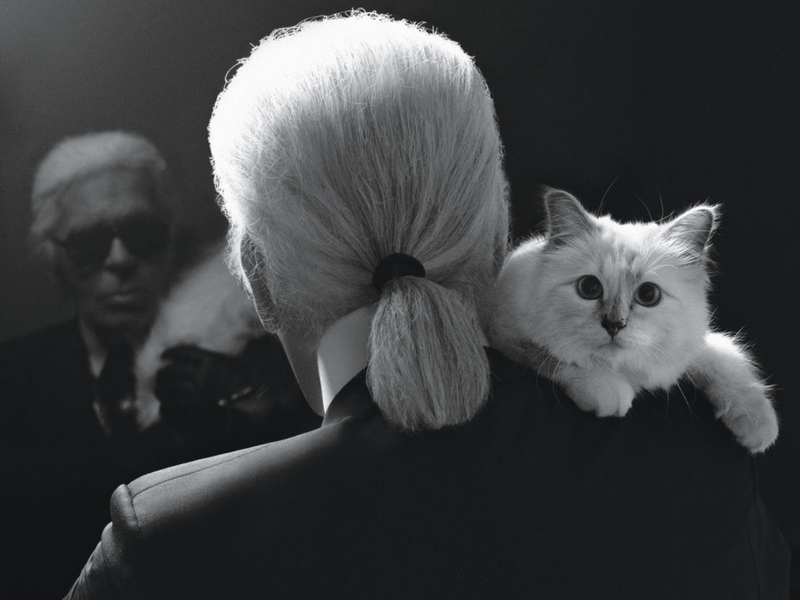 This chronicle helps Lagerfeld in knowing his cat better and making sure her needs are fulfilled. As if all this was just not enough, Lagerfeld left behind a huge portion of his estate to Karl Lagerfeld’s cat. Now, the cat is the heiress of 380 million dollars! Aren’t we all suddenly feeling too poor to exist? Ok, now you all can cry over your poverty while we Google how to trade lives with a cat. See you later! Previous articleSix Ultimate Sandwich places in Delhi that got to try NOW!